Eton dress shirt in micro-check. Ermenegildo Zegna gingham Trofeo?? dress shirt. Spread collar; button front. Barrel cuffs. Shirttail hem. Cotton. Machine wash. Imported. 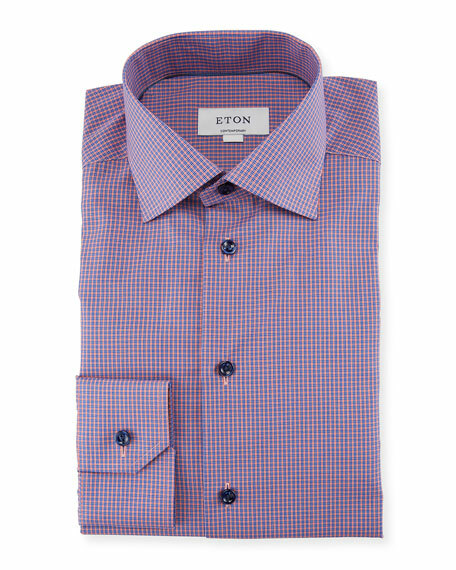 Eton dress shirt in box checks. High spread collar; button front. Mitered barrel cuffs. Yoked back shoulders. Classic fit. Shirttail hem. Cotton. Made in Italy. 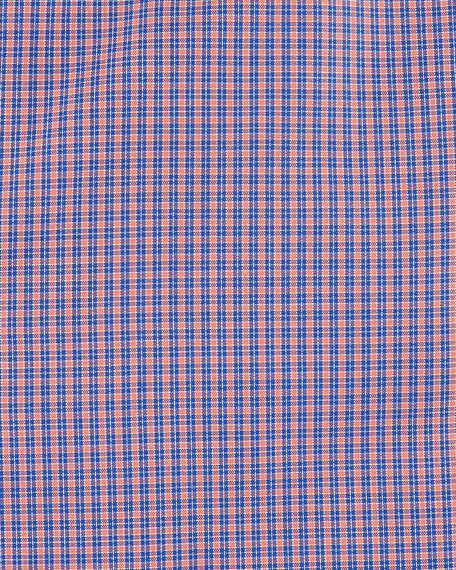 Eton dress shirt in light gingham-print. Spread collar; button front. Mitered barrel cuffs. Shirttail hem. Slim fit. Cotton. Imported. Eton dress shirt in textured crease-resistant weave. Hidden button-down collar; button front. Convertible button cuff to French cuff. Darts at the back to adjust the width. Contemporary fit. Shirttail hem. Cotton. Machine wash. Made in Romania.